Making your own rice for baby is a very frugal choice. You'll be saving a good deal of money on your homemade whole grain rice meals then you would if you were buying dehydrated infant cereal flakes, that's for certain. Preserving your rice is certainly key to getting the most for your money. Whether you've chosen to use white or brown rice, the storage guidelines are the same. Once you have prepared and cooked your rice, in whole grain or ground form, in your refrigerator for 3 days. The texture may vary slightly. 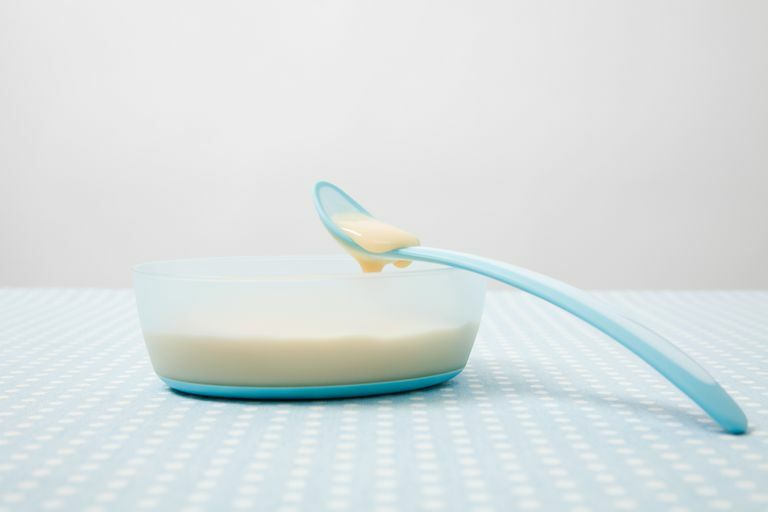 Adding your choice of liquid (breastmilk or formula) will help reconstitute the cereal. You can store cooked rice in the freezer in a similar method to how you freeze homemade purées. We recommend freezing uncooked grains, whole or ground, into meal-sized portions rather than freeze prepared rice. You may find that the texture of frozen cooked rice isn't the most appealing.